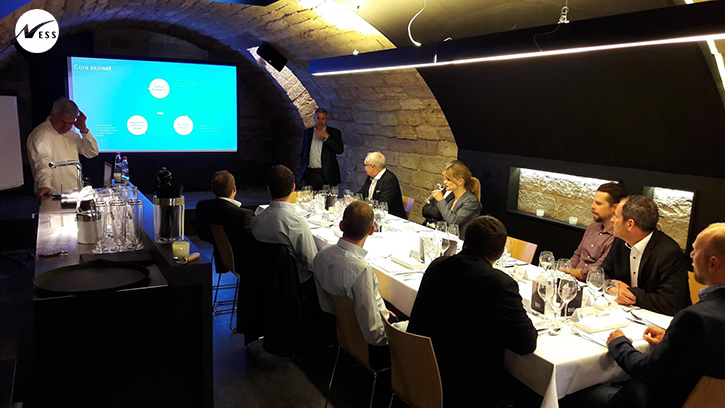 Ness held a private Dinner Event on May 16th in Stuttgart, Germany, the heart of the “German Mittelstand” – the powerhouse of medium-sized, mainly family-run businesses that are extremely successful in their niche markets, and the engine behind the German exporting machine. The topic for discussion was “Predictive Maintenance-as-a-Service” which opened up discussions on common challenges and how to overcome them with the manufacturing companies in the audience. Ness works alongside clients leading this movement and we wanted to share our hands-on experience and learn from other companies within the ecosystem. Predictive Maintenance is the hot topic at every recent conference on Industrial Internet of Things. The web is straining under the volume of articles published by consultancy companies and solution providers alike but, from my own experience of attending these conferences, one tends to come across a limited number of viewpoints from the heavy hitters like Bosch, Thyssen Krupp or GE. What about the other 99% of the companies in Germany? 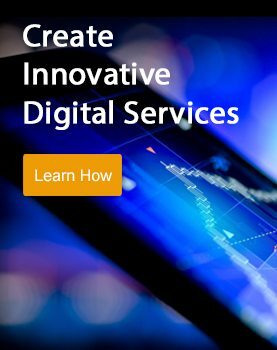 Do they feel the need to adapt their business model to offer data-based services like Predictive Maintenance? Do they have the competence and necessary skills to address such complex, data and software-intense initiatives? As expected (predicted even), most of our event’s attendees have started exciting new initiatives in this direction. We then introduced a hands-on compass for data-centric initiatives, the data ring canvas. This canvas was pre-populated by Ness (from our experience) and used as a catalyst for discussion throughout the dinner to identify challenges and impediments the attendees faced while trying to move forward with their predictive maintenance strategies. Goal and value quadrant: The imperative of identifying a viable business case to communicate both to management (for investment approval) and respective clients (to improve their willingness and incentive to share machine data). Tools quadrant: Challenges in preparing the relevant data. Aggregating data from different sources was tricky; cleansing that data and getting it ready in order to enable data science or experience engineering work to take place. This was cited as the biggest challenge. Both tools and process quadrant: Ability to scale both in terms of systems architecture and technical resources to cope with scale-ups/growth in ambition. Process quadrant: Benefits of the Minimum Viable Product approach executed in rapid iterations was emphasized as the most valuable execution model. What conclusions can we draw from the Mittelstand audience feedback to the Ness Point of View on the current state of predictive maintenance? This is not just hype. It is real: All manufacturers are interested in offering or using Predictive Maintenance. They see the benefit of investing resources in this area very soon. This will no longer be “nice to offer” but a “must have” service to their clients (who want to self-serve in near real-time). It’s a journey: Predictive maintenance needs time and a common focused goal and commitment from the company leadership. This won’t have an ROI within 6 months, but it is a learning process for everybody involved. Here the family-run Mittelstand businesses have the advantage of their financial independence from capital markets; they can give themselves enough time to grow a profitable service-revenue business instead of having to satisfy stakeholder expectations each quarter. It’s an interdisciplinary effort: The journey might take companies from the island of “Schedulistan” to “Predictistan” but no man is an island and neither is a predictive maintenance team. Different skill sets are needed and team members from different backgrounds (technology, data, engineering, business, customer service….) must find a way to effectively collaborate. For many companies this means they must rely on finding external skills from a trusted partner, because there simply isn’t the relevant expertise (from a new discipline) within their organization. It is no secret that is hard to find the right data engineers, machine learning experts and data scientists. Finding those skills and folding them into a successful manufacturing culture is definitely going to be a significant challenge for everyone! It’s better to start simple than not to start at all: Some attendees started out developing simple smart maintenance apps with excellent user experience to overcome inertia and were able to deliver something tangible within a short period of time. This can serve as a foundational basis on which to develop more sophisticated solutions for a less cynical audience who have already seen value in the first effort. Ness looks forward to being on the forefront of the evolution of Predictive Maintenance and continuing to help our customers innovate in order to stay competitive. As reference to Nassim Nicholas Taleb’s concept of Mediocristan and Extremistan from his 2007 published book “The black Swan. Veronika Bauer is Manager Business Development Continental Europe.